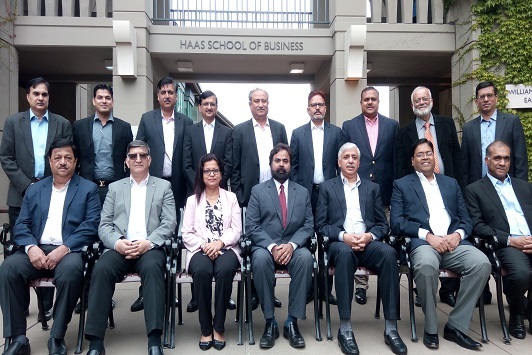 AIMA organized its 12th edition of the Global Advanced Management Programme (GAMP) in the Silicon Valley, USA, from June 25 to July 01, 2017 led by Prof. Solomon Darwin, Executive Director, Center for Corporate Innovation, Haas School of Business, University of California, Berkeley as its Programme Director. 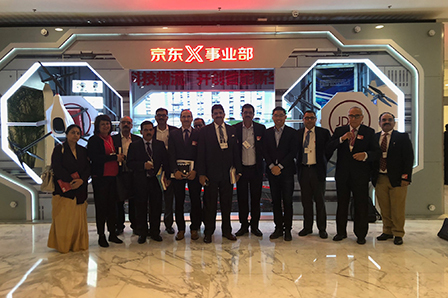 The theme of the programme was “Disruptive Innovation & Open Business Models in The Changing Global Landscape” and is designed especially for senior executives to provide insights into Open Innovation and Disruptive Innovative business model. From keynote speakers and panel discussions to executive briefings at top Silicon Valley companies, participants actively engaged in creative problem-solving exercises and in developing a new business model for their own organisations. 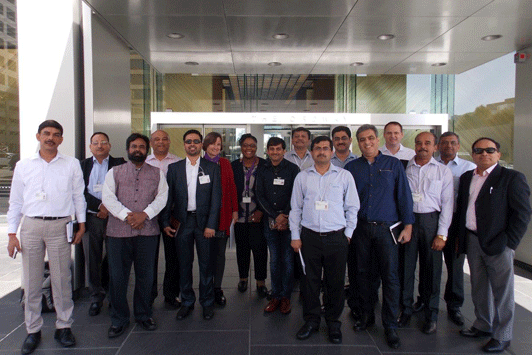 The senior executives attending the programme learned from a multitude of inspirational and innovative leaders at on-site visits to Wells Fargo Bank, Standard Chartered Innovation Studio, RocketSpace, Fujitsu, PayPal, Cisco, IBM, VMware, SAP and Genpact Digital Labs. At the end of the programme, the participants presented a innovative business model to propose back to their companies and were conferred with the ‘Global Advanced Management Programme’ Certificate awarded by AIMA. 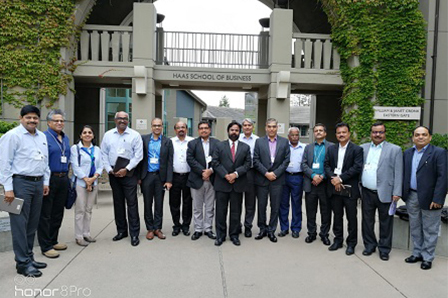 AIMA organised its 11th Global Advanced Management Programme (GAMP) and 6th in the series in the US during 26th June – 2nd July 2016 in the Silicon Valley, USA. 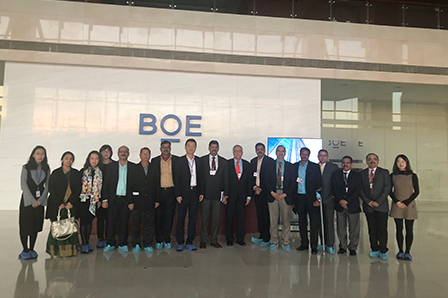 This programme was led by Prof. Solomon Darwin, Executive Director, Center for Corporate Innovation, Haas School of Business, University of California, Berkeley. The programme is designed especially for senior executives and teaches Open Innovation and Disruptive Innovative business model solutions. From keynote speakers and panel discussions to executive briefings at top Silicon Valley companies, participants actively engaged in creative problem-solving exercises and in developing a new business model for their own organisations. Simultaneously, US companies benefitted from understanding the expansion and evolution of Indian business models. 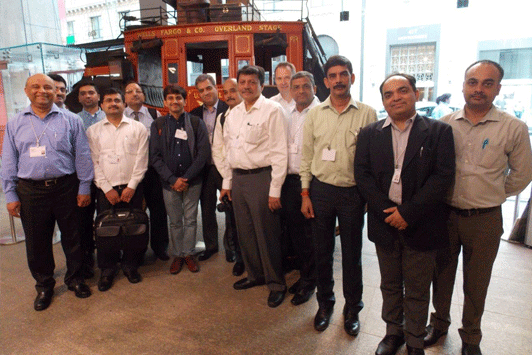 The senior executives attending the programme learned from a multitude of inspirational and innovative leaders at on-site visits to Wells Fargo Bank, which is one of the oldest banking institution in the US and how it is reinventing itself as a formidable force in the new hi-tech world, Standard Chartered Innovation Studio, Techshop, Rocket Space, a specialist company in the space of incubating startups in the Silicon Valley,Fujitsu, PayPal, Kaiser Permanente International, Intel Museum, Cisco Systems, IBM and GE Global Innovation Center. 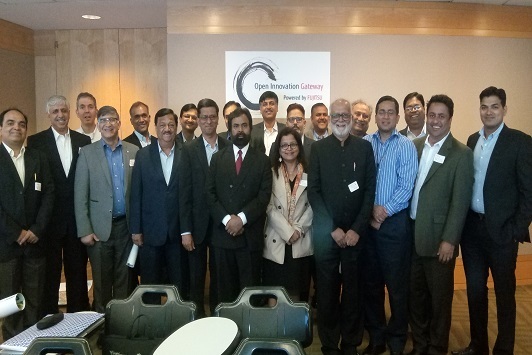 Mr Venkatesan Ashok, Consul General of India in San Francisco addressed and interacted with the participants at a special plenary session and other keynote speakers included Mr PK Agarwal, CEO, Northeastern University (SV) and Former CTO, California State. At the end of the programme, the participants incorporated disruptive innovative business models to propose back to their companies and were conferred with the ‘Global Advanced Management Programme’ Certificate awarded by AIMA.